Please come and experience Dr. Ernest H. Adams’ original voice and fresh perspective. 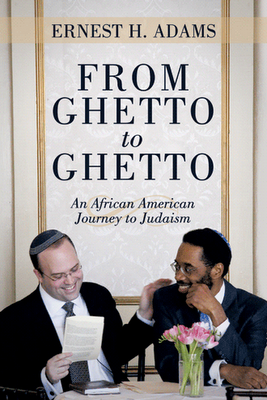 “From Ghetto to Ghetto: An African American Journey to Judaism”, is a memoir by Ernest H. Adams that provides unique insight into our country’s African American, white and Jewish communities. With the keen insight of a trained psychologist, Adams brings to light the strengths, vigor and confines of those communities. The book is a hard hitting, no holds barred story of determination, brotherhood and America’s struggle with race. Previous Post Being Jewish & Asian isn’t a joke…duh!